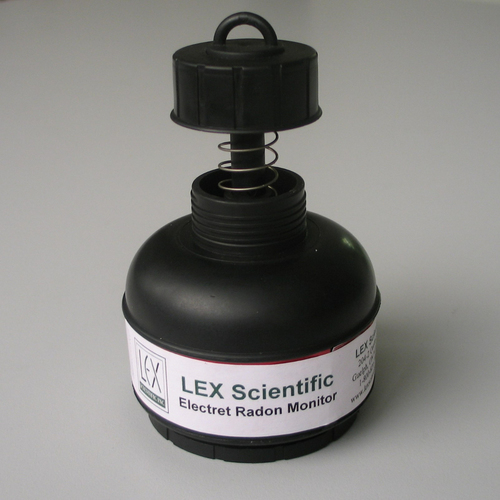 LEX Scientific Inc. offers inexpensive, easy to use long-term and short-term radon gas detectors. Our detectors are sold individually, in packs of two, or in bulk depending on your requirements, and we ship nationwide. CONTACT US TO PURCHASE YOUR COST-EFFECTIVE RADON GAS DETECTION KIT. Long-term tests, like our RSKS Radon Alpha Track Detector, are performed for a minimum of 90 days during the winter when houses are sealed up and radon concentrations are at their highest. Because radon levels fluctuate a lot day to day and season to season, a long-term test is recommended to determine if you have high average radon concentration in your home or workplace. The long-term test will yield results that can be compared to the 200 Bq/m3 yearly exposure guideline set by Health Canada to help you determine if there is a need to mitigate. Short-term tests, like our E-Perm® System radon detector, are performed over the course of 2-10 days. Short-term tests are a great preliminary test for real estate transactions as they can be used to get an immediate radon level in a building. While Health Canada recommends a long-term radon test to determine the need to mitigate, a short-term test can help you make an early determination if an extremely high radon level is found. As an ISO 17025 and a Canadian-National Proficiency Program (certification number C-NRPP/PNCR-C# CAL 201537) certified Analytical Laboratory we continually monitor our operations to ensure we meet and exceed stated quality and performance standards. Our highly trained and knowledgeable administrative, technical and laboratory professionals are constantly striving to surpass expectations of quality, timeliness, and customer support. We are dedicated to reducing radon exposure and increasing public radon awareness. 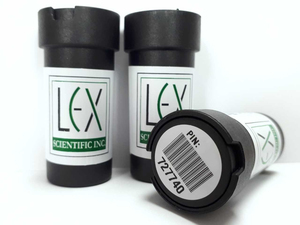 LEX offers wholesale discounts and bulk pricing, as well as tailored quality control plans. Contact Us for more information.